Normal 0 false false false EN-CA JA X-NONE. As preparations get underway for the Victoria Day Weekend — which has long heralded the unofficial beginning of summer for Canadians — many are asking themselves whether they shouldn’t start the season in a new vehicle. The nice weather and clear roads of spring offer the promise of summer vacations and thrilling road trips, and what better way to capture that uniquely Canadian spirit of adventure than in a new vehicle? 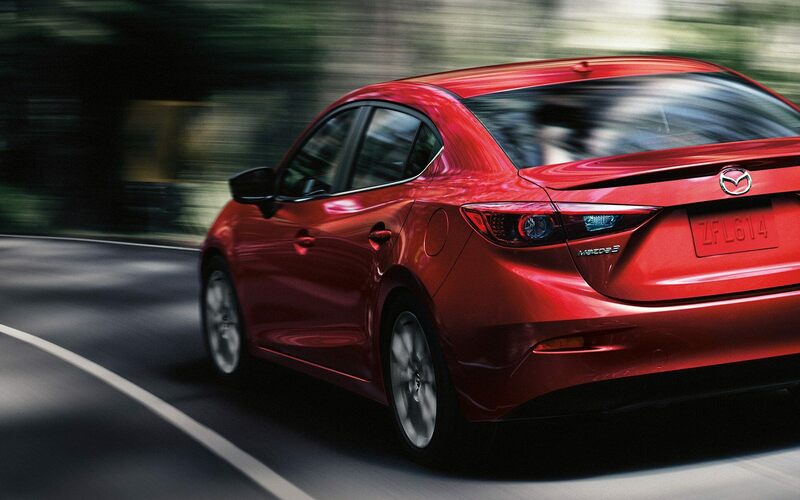 If you are looking for Mazda cars in Toronto Yorkdale Dufferin Mazda should be your first stop. We are the city’s premier Mazda dealership, and have been providing customers across the Greater Toronto Area with unparalleled service for more than fifteen years. Our staff are committed to helping you find the best Mazda for your lifestyle, and with a full range of 2018 Mazda vehicles at prices that work for any budget, you are sure to find whatever you are looking for in our showroom. This year marks Mazda’s 50th anniversary in Canada, and over the past half century Mazda has developed a strong reputation for selling vehicles that are particularly well suited to the needs of Canadian drivers. A perfect blend of luxury, functionality, and fun, Mazda vehicles are as comfortable navigating the long, winding roads of rural Ontario as they are weaving in and out of traffic on the 401. No wonder the Mazda 3 is once again one of the best-selling cars in Canada in the first months of 2018. In addition to a full line-up of 2018 Mazdas, we also have a wide selection of used Mazda vehiclesincluding a number of Mazda 3 cars from the past few years in a variety of trim options. We also offer heavily reduced prices on used Mazda CX-5 and CX-9 models, so whether you are looking for a quality sedan or a rugged two or three-row SUV, we can provide you with a range of used options, all at great prices. If you want to find the best prices on some of our most popular vehicles, check out our monthly specialsto learn more about how you can get behind the wheel of a 2018 Mazda 3 GS, Mazda CX-5 GS, Mazda CX-3 GS, or Mazda CX-9 GS for less. We also offer a range of featured deals on used Mazda cars such as the 2016 Mazda CX-3 GT, the 2016 Mazda CX-5 GX, and the 2017 Mazda CX-9 GT, so no matter which Mazda you want to take home, you’re sure to find a great price at the Yorkdale Dufferin dealership. Evidence suggests that while markets stagnate in other parts of the world, Canadians still have a healthy — and growing — appetite for new cars. In 2017, Canadians bought more than 2 million vehicles, and experts suggest that these sales will stay strong in the coming year. If you want to make 2018 the year you get behind the wheel of a brand new vehicle, visit Yorkdale Dufferin Mazda to learn more about how you can get incredible deals on our industry-leading cars and SUVs.